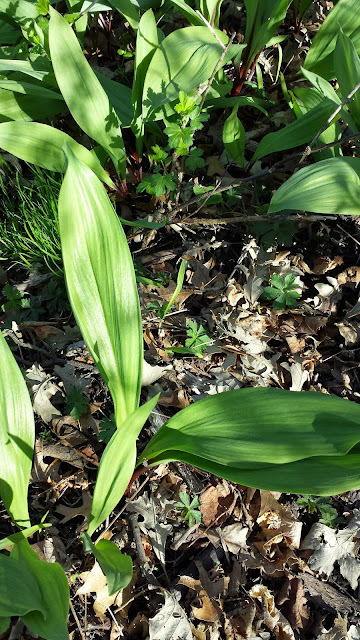 In the past spring time hunting in the woods meant morel season to me.That changed last year when a friend introduced me to Ramps. 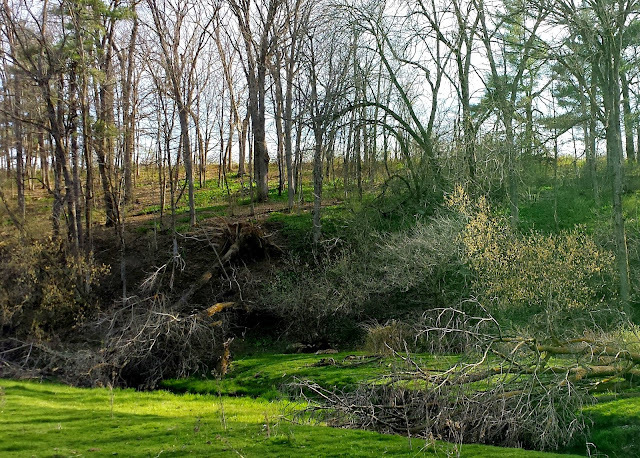 In Wiscosnin, these lovely greens are harvested in the spring. They have a lovely garlicy onion flavor. This year the season started in late April, but of course, would vary depending on temperatures. 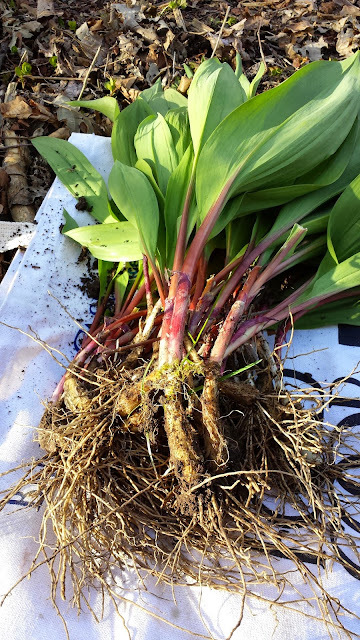 We have yet to find Ramps on our farm, but my friend has had me over to pick them on his farm this season, and last. 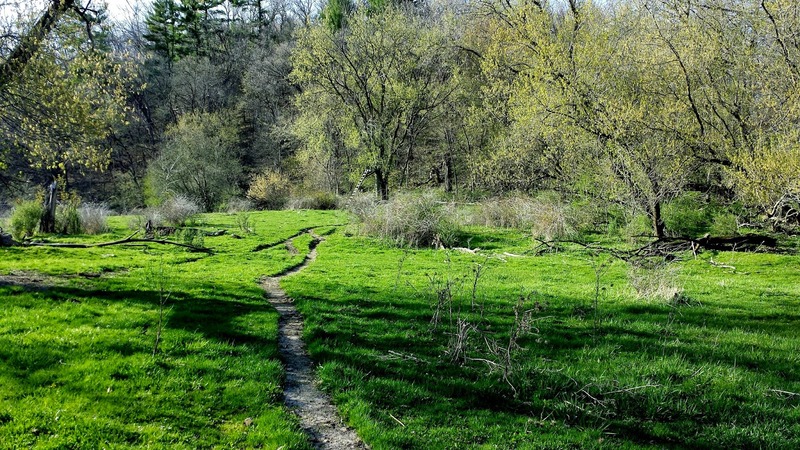 We had to head way back, past old cow pastures. 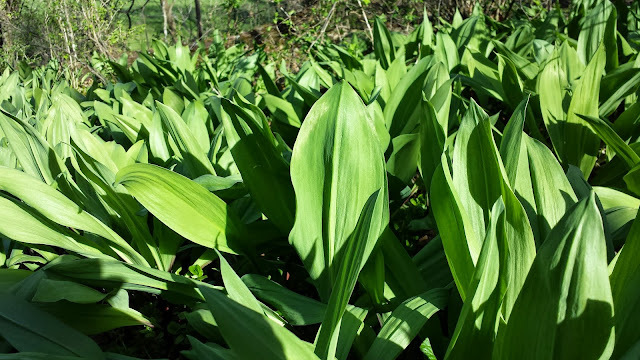 We reached a hillside that was covered in a carpet of Ramps! You will get hungry while you are picking the leaves. The smell is intoxicating. For most food dishes, you only need to harvest the leaves. So, we pick one leaf off near the base. Leaving one leaf to let the plant continue to live. We did harvest a small amount of the whole plant, bulb and leaf. The bulb is very flavorful as well. 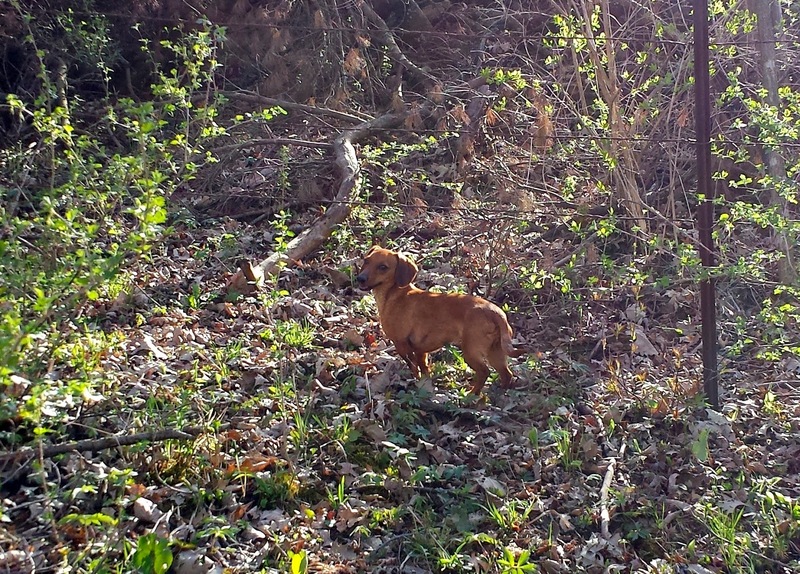 Winston accompanied us on our hunting expedition. Isn't he cute? More posts to come on preparing Ramps. 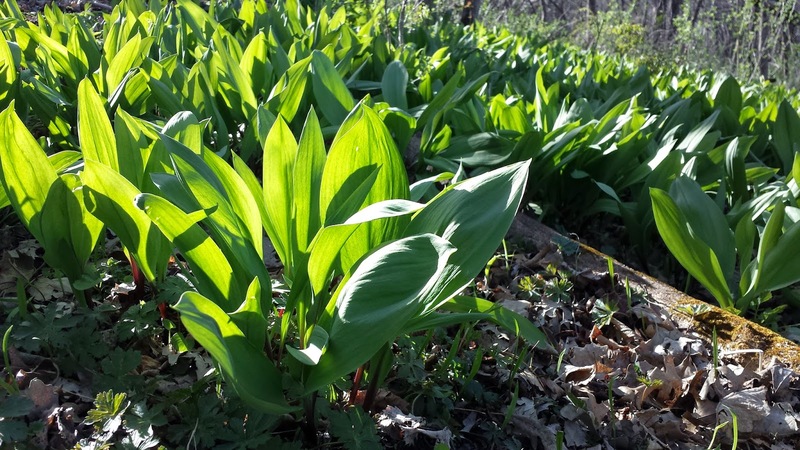 Tell me, have you heard of Ramps or Wild Leeks before? Do you know them by another name? Yes, we have wild leeks here. My mom use to cook with them. I am so excited to learn more from you. Oh, I love that woods. That old cow trail brings back a lot of memories. Fascinating!!!! This is really cool - I'm all about trying new greens, this is something I have to check out. Thanks for those links!